A perfect combination of beauty and performance, the stylish R410 is powered by a 7th Generation Intel Core processor with up to 8GB RAM. Weighing in at just 1.55kg the R410 is extremely portable making it the ideal everyday laptop. Offering a thin 7.1mm bezel and 73.8% screen-to-body ratio, the NanoEdge display on R410 provides you with more screen area for super immersive viewing. ASUS exclusive technologies ensure the very best visual experience. ASUS Splendid visual optimisation technology provides high quality visuals for any type of content. It features four display modes: Normal mode is ideal for daily tasks; Vivid mode optimises contrast to deliver stunning photos and video; Eye Care mode reduces blue-light levels to ease eye strain; and Manual mode allows for personalised colour adjustments. 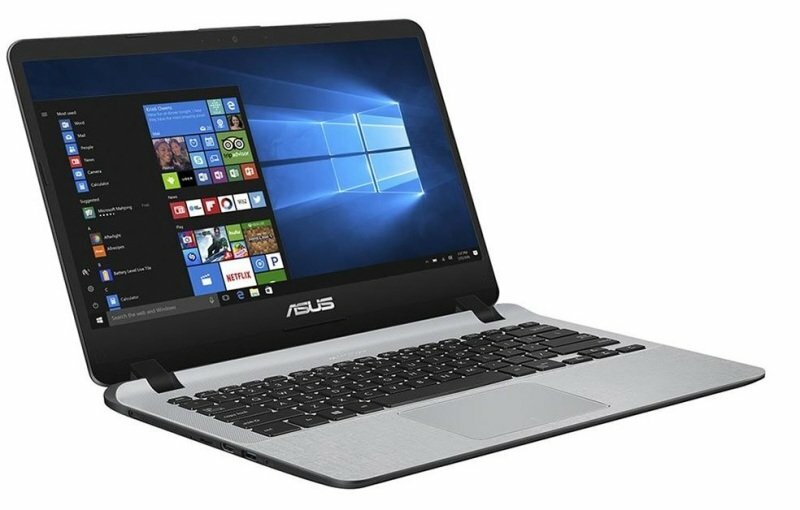 ASUS Tru2Life Video technology intelligently optimises each pixel in the video frame to increase sharpness and contrast by 150% so you'll enjoy the best possible image quality. ASUS SonicMaster and ASUS Audio Wizard provide the perfect combination of hardware, software and audio tuning orchestrated with the goal of delivering to you, the very best audio experience. ASUS SonicMaster employs a professional-grade codec to ensure precise audio encoding and decoding, and uses amplifiers, large speakers and resonance chambers that are perfectly-suited for your specific device. ASUS Audio Wizard is a powerful software suite that makes it easy to achieve the ideal audio balance for any type of content. It also offers manual settings options, so you can take full control of your audio mix for truly immersive sound. ASUS IceCool technology uses smart fan control, thin heat pipes and clever design to create an efficient cooling system that keeps the average palm rest surface temperature below 36°C, lower than body temperature, so you get robust cooling performance and a comfortable user experience. R410 features a 3x the lifespan of standard lithium-ion batteries, with a battery life of up to 6 hours. What's more, with ASUS fast-charge technology, a low battery can be charged to 60 percent in just 49 minutes.